Here are a couple of colour test sketches for another project I'm currently working on. Snakes and serpents tend to be associated with things of a darker nature, things like cunning, evil, and sin. Even most of rhe art I come across is dark, or at the very least, rather hard and tough. I find that snakes, besides being very useful for keeping rodent populations down (sorry little mice!) are also very beautiful and come in a variety of colours and patterns. 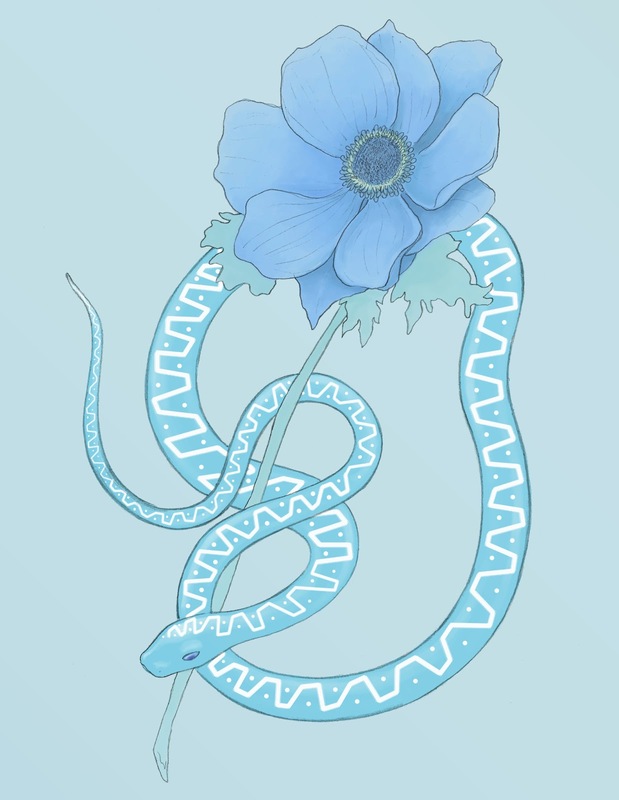 I chose to depict them in soft spring colours, each intertwined with a flower, a blue anemone (the flower that bloomed from Aphrodite's tears and means good luck) and the peony (symbol of prosperity and romance). 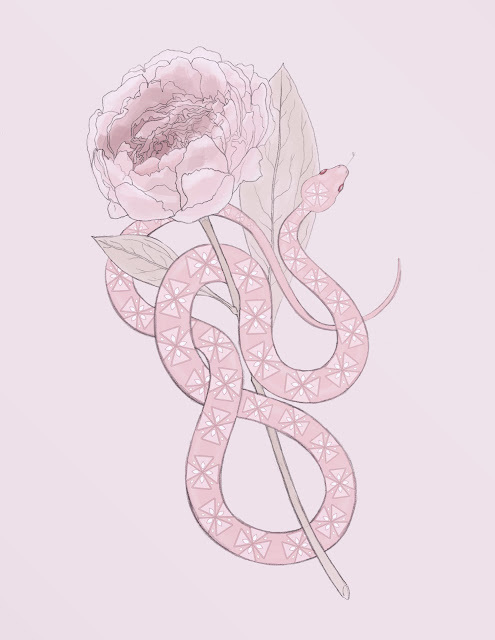 In many mythologies around the world snakes symbolise fertility and an association with the spring.